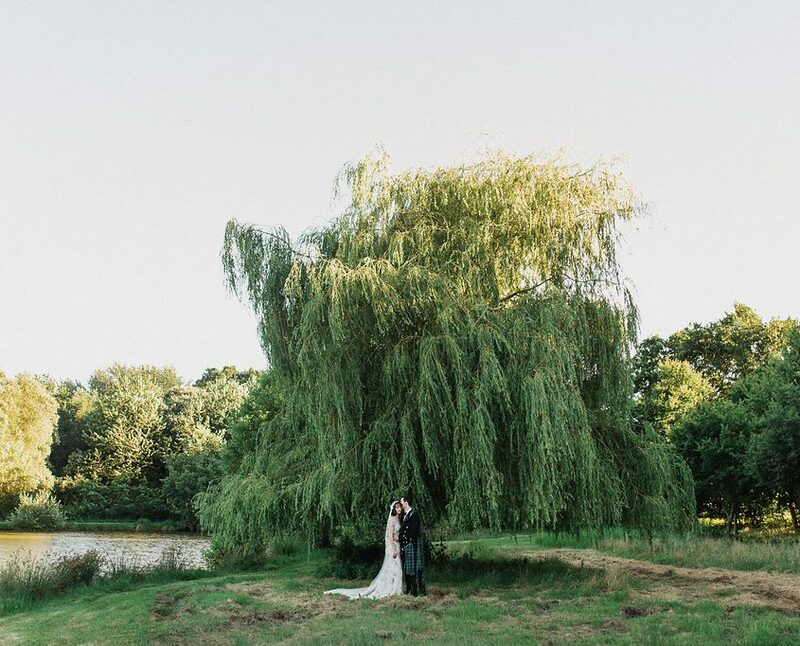 Imogen and Matt are an international couple who were living in Paris when they decided to get married in France. 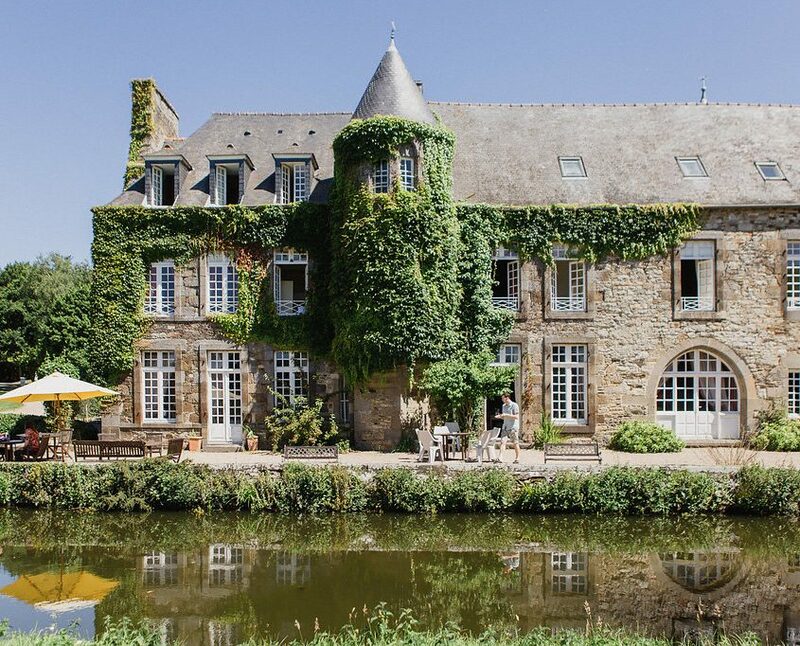 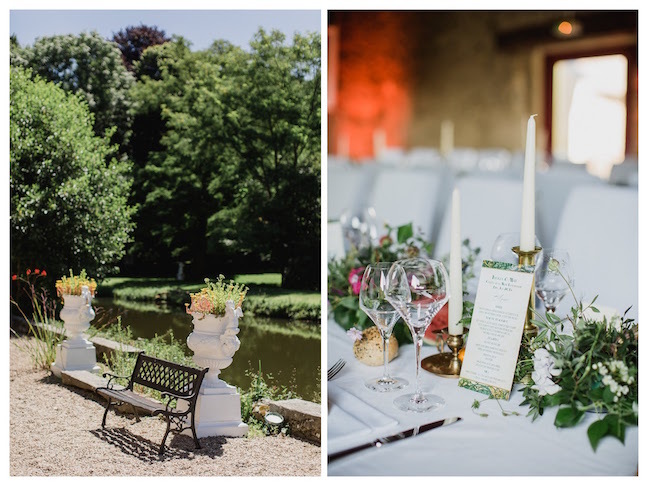 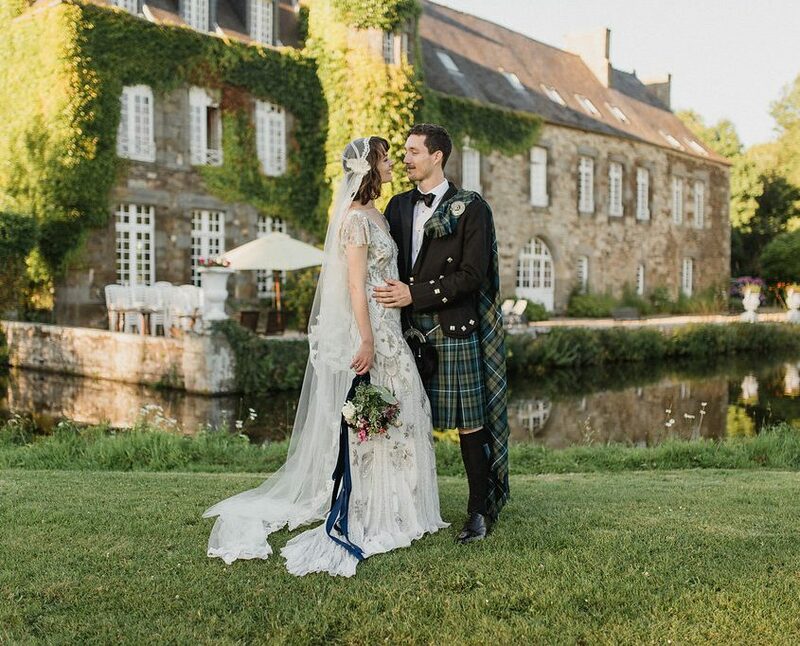 Given the bride’s Scottish heritage, they selected the beautiful region of Brittany for their celtic-vintage-countryside wedding. 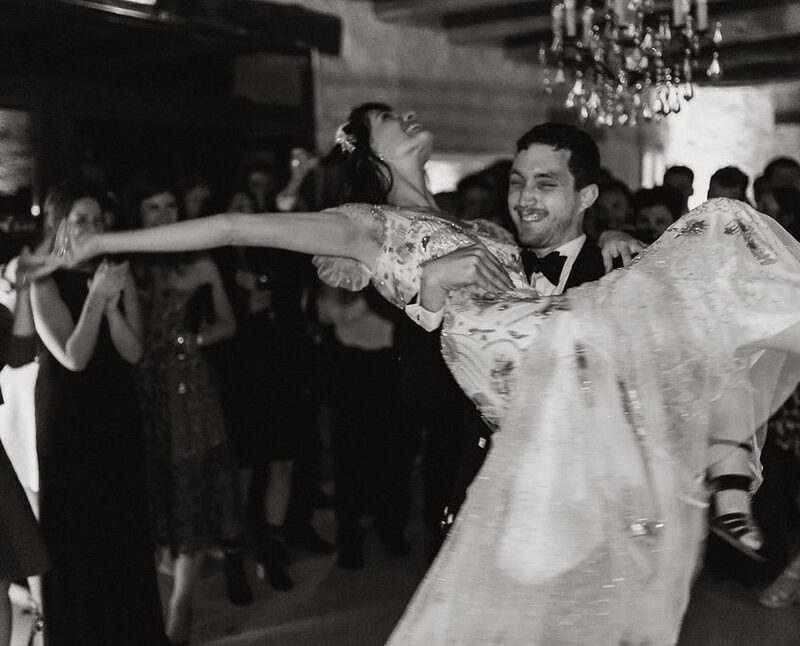 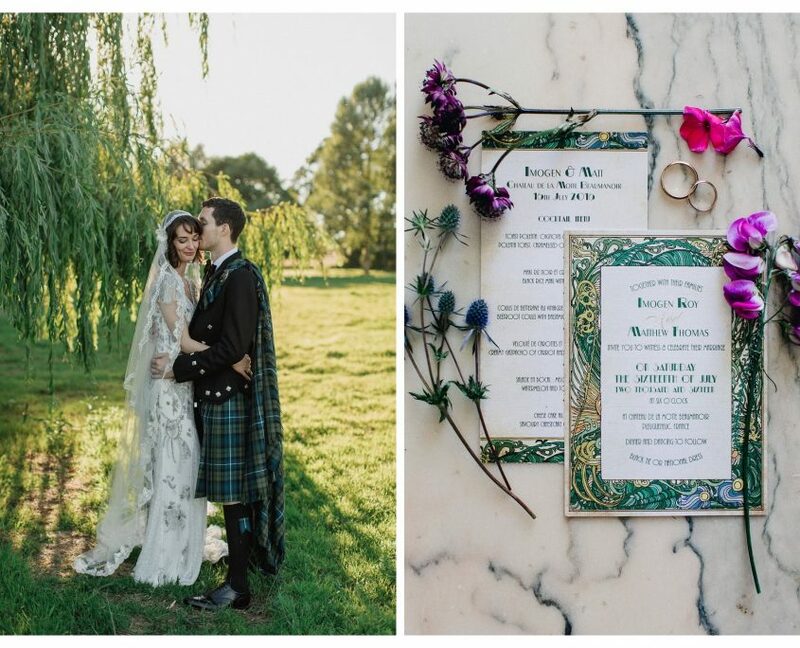 The couple incorporated their personalities and style into each moment of the wedding. 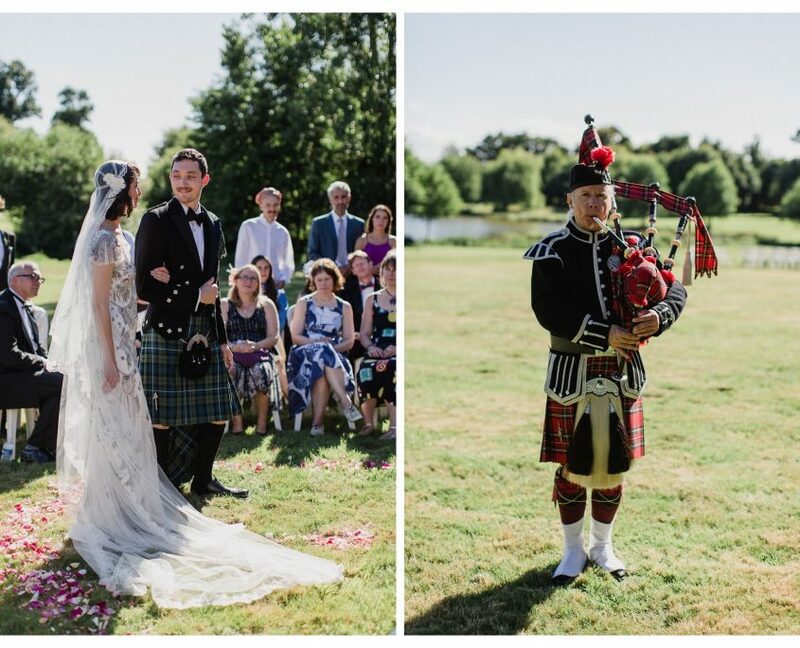 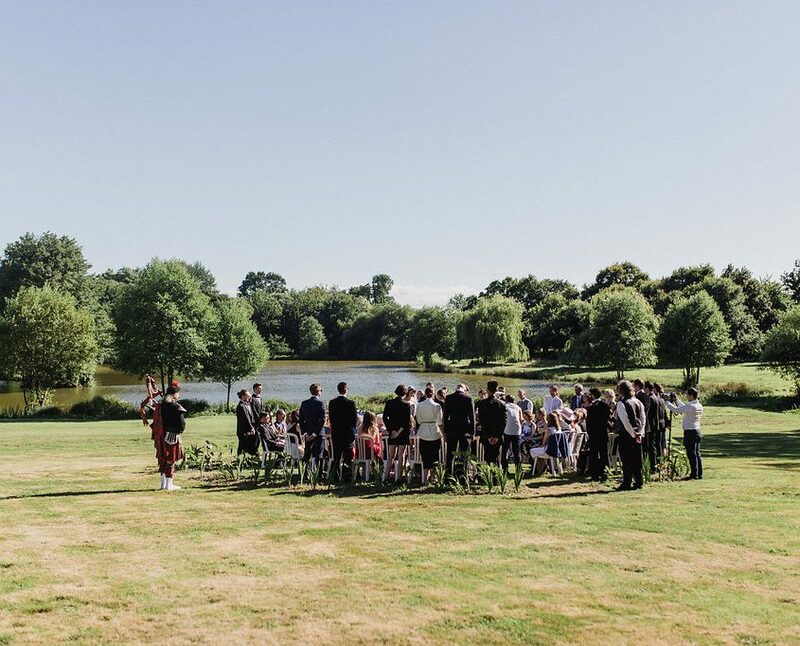 The bride’s vintage inspired gown and groom’s tartan fit perfectly with the setting, as did the bagpiper who piped in the bride and the celebrant who performed a celtic handfasting during the ceremony. 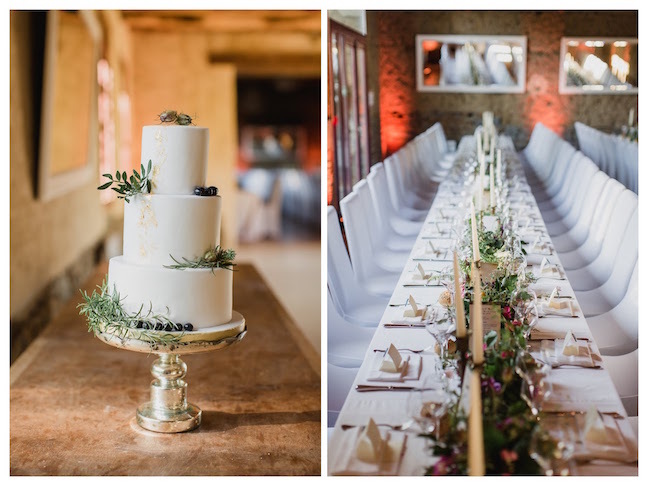 The talented florist created table decor using fruits, vegetables and locally sourced greenery, and guests were treated to a plant-based wedding meal, provided by a local vegan caterer. 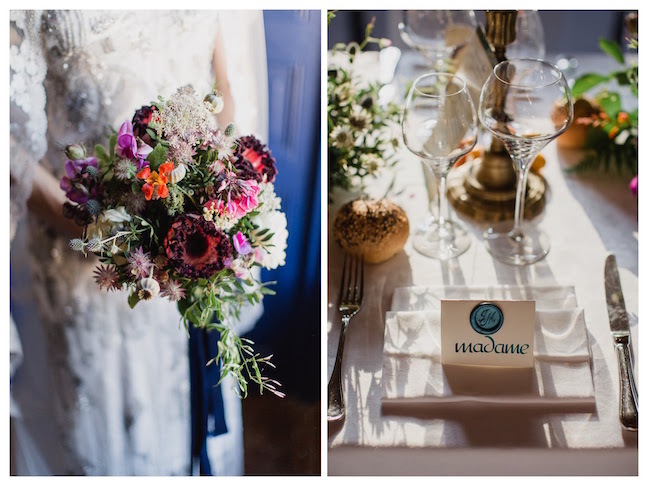 In lieu of favors, the couple wrote notes with personal messages to each of their cherished wedding guests.